If you know of additional resources that should be included on this page, please use the Contact page to send us your suggestions. 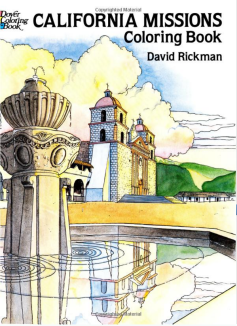 California Missions Coloring Book, by David Rickman – well-researched, historically accurate pictures with captions and descriptions. Suitable for grades 3-8. The pictures in the book can be used in student projects, or as a catalyst for student research. Spanish Missions of California – a resource site for teachers. Missions of California Educational Projects site – some great lesson and project ideas.